I was cleaning out my drawers and shelves when I found this and realized that I haven't reviewed it. I remembered the haul post I wrote, but the review never came. 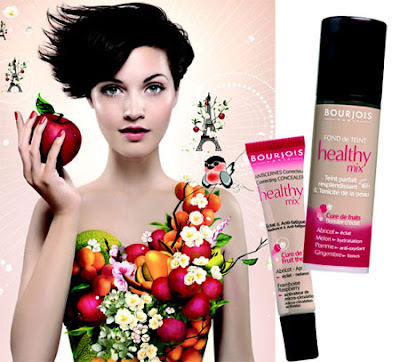 So, without further ado, here is the review on the Healthy Mix foundation by Bourjois. 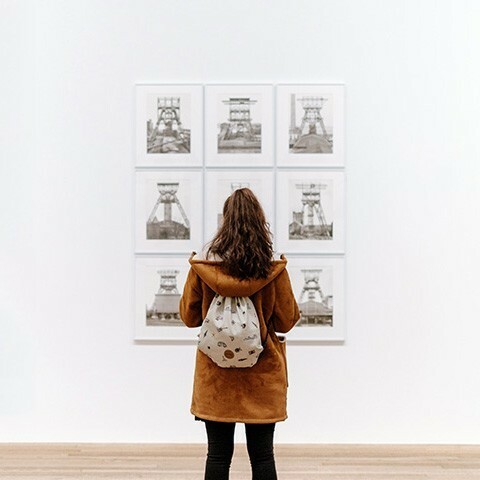 Sorry, I used a stock photo. My camera won't pick up the pump well. I use half a pump of this foundation and apply it from the center part of my face, outwards with a damp sponge. Just click on the pic to enlarge it. When my skintone is darker, I'll just mix this with a drop of my Revlon Colorstay foundation in medium beige. It's easily removed with my makeup remover. I don't have to tug and scrub it off my face. 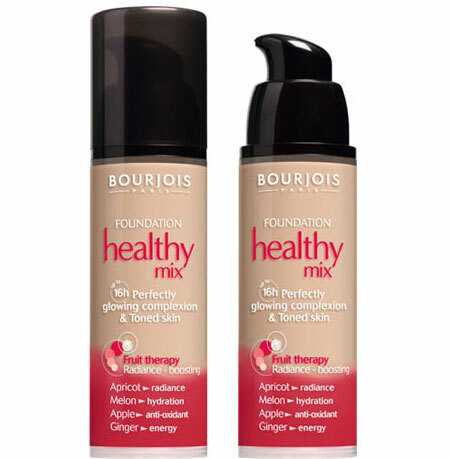 It is a good foundation and I enjoyed using it. However, it does contain alcohol, but since I don't wear foundation often, I'm still allowing it. Besides, the content of alcohol is way down the list, unlike other foundations which states alcohol as their second or third ingredient. ai, iya, ini warnanya yang paling muda... ^^ followed you!